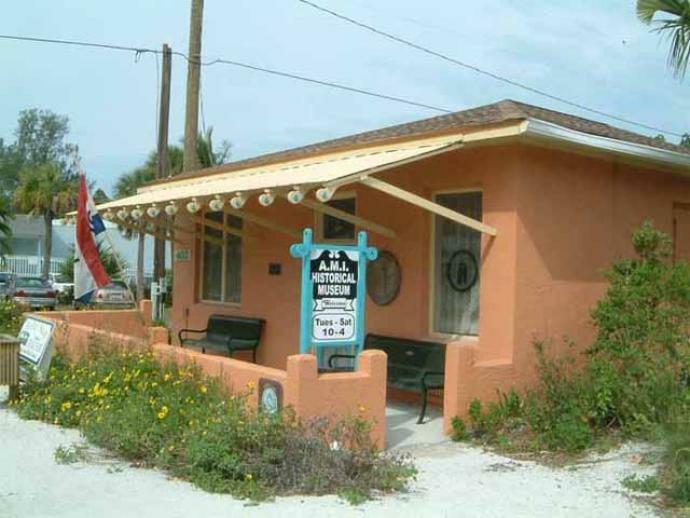 The Anna Maria Island Historical Society Museum was originally an icehouse built in 1920 by the city of Anna Maria's first mayor, Mitch Davis. Subsequently, the AMIHS secured it for its museum in 1992 through the generosity of the city of Anna Maria and others. Presently housed in the museum are rare, old photographs, maps, records from the early 1900s, newspaper clippings, period outfits, jewelry, and videos from times past. Recently, a library was created where people may peruse archival records as well as beautifully bound copies of the original Islander newspaper dating from 1954 to 1990. Displays of period clothing and items of interest are presented on pedestals and in glass enclosed cases. . The walls to the rear of the museum tell "fish tales" from long ago and host a salute to the veterans of World War I and II. Belle Haven Cottage Cracker Cottage- Historic Belle Haven Cottage sat at the end of the City Pier from the early 20s. Built originally as a fish packing plant. The Anna Maria Old City Jail - was built in 1927. 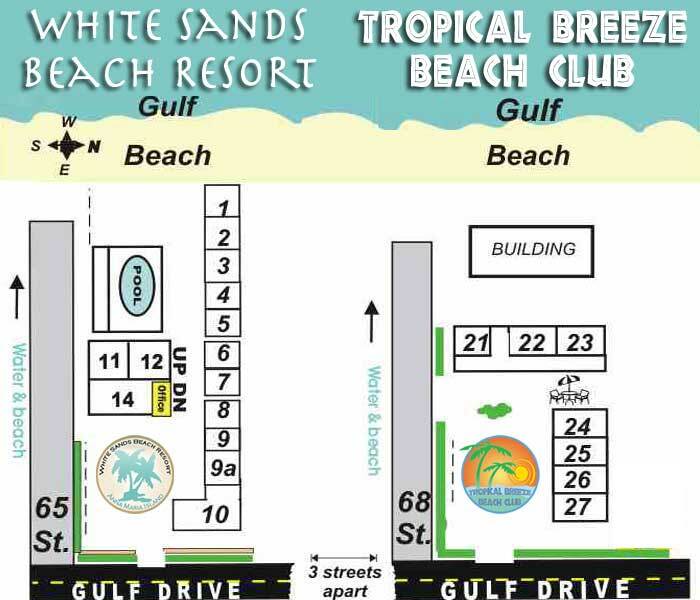 Mayor Mitch Davis built it as a place to quarter the rowdies, many of whom had over indulged at the local tavern dance hall, which once stood where the Sandbar restaurant is now located. Most of the offenses were drunkenness and speeding. A night in the jail, which had bars but no windows, cured most troublemakers. The jail proved to be the best preventative for trouble on the Island. After the first couple of dozen offenders were put behind bars, most of the violations stopped. Made of tabby, a mixture of shell and cement, the jail was used up until the 40s when a fire burned all the wooden structures including the roof. It was even featured in Ripleys' "Believe It or Not!" The Island landmark is still a favorite spot for Islanders and tourists alike.